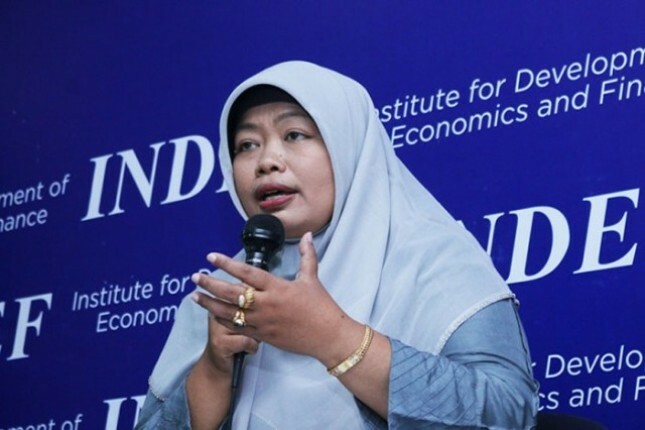 INDUSTRY.co.id - Jakarta - Enny Sri Hartati, Director of Institute for Development of Economics and Finance (INDEF), asked the Ministry of SOEs to explain more transparent reasons for the removal of PT Pertamina President Director Elia Massa Manik from his position, so as not to cause multiple interpretations in the community and investors. "Shareholders should mention the reasons for the replacement of Pertamina's President Director, how to manage state enterprises, how to dismiss and appoint all rules," he said in Jakarta on Tuesday (4/24/2018). According to Enny, Pertamina is a state-owned company. "As long as the movement is for the benefit of the people, why should it be replaced, if replaced there must be a reason, Elijah fails or not, progresses or not," he said. He explained, related to the government's fuel really has the authority to set the price, but for its implementation, Pertamina is also entitled to give calculations on the price of fuel for the community. In fact, under the leadership of Elia, Pertamina meet the target of BBM Satu Price program in 54 points. For that success, Pertamina even received congratulations from President Jokowi in December 2017. "A transparent explanation from shareholders will undoubtedly remove investors' doubts, so it is expected to create conducive climate," he said. Similar to the oil spill in Balikpapan a few weeks ago, according to Enny, the handling also does not necessarily have to lead to the removal of Elia Massa Manik because it should still wait for the results of the investigation related parties. "The change of President Director of BUMN is normal, but there must be an objective explanation," he said. Previously, on Friday (20/4/2018), Deputy Minister of Mining Business, Strategic Industries, and Media Ministry of SOE, Fajar Harry Sampurno, officially announced the dismissal of Elia Massa Manik as the number one person in Pertamina. Through the Extraordinary General Shareholders Meeting (RUPSLB), Director of Human Resources of Pertamina, Nikce Widyawati was appointed as the Managing Director of Pertamina.